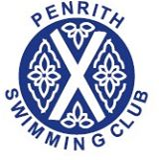 PENRITH Swimming Club’s annualchampionships wereheld over three weekends in November at the town’s leisure centre. Rosie Huggon (right), daughter of the late Jenny Birtle, presents Beth Titterington, ladies‚Äô 200-metre individual medley winner, with the Jenny Birtle Memorial Trophy. All club members are entered in the gala within age categories, starting with those as young as five. The events and distances competed for varied depending on the age and experience of theswimmers. Aftercompeting in heats and finals, points were awarded for the first three places in each event. These points were then totalled to give the overall winners in each category. Family and friends were able to view and support all 84 events from the gallery and created a great atmosphere while watching the swimmers cover adistance equivalent to the height of Everest. There were more than 37 winning individuals across all the events. During thechampionships a minute’s silence was observed in memory of the late Jenny Birtle, who was a life member of Penrith Swimming Club. She had been involved in swimming for most of her life,undertaking many roles and will be missed by all within the club. Following completion of the gala, the club held its annualpresentation evening which included party games, dancing and food for the swimmers and their families. The main focus of the evening though was the awarding of the 2012 club championship trophies. The winners of theoverall age categories were: Seven years, girls Jessica Prokas, boys Angus Fleming. Eight years, girls Charlotte Newby, boys Harry Dodd and Nathan Ellwood. Nine years, girls Niamh Brenan, boys Robin Regan. 10 years, girls Jessica Woodhouse, boys Kes Fountain. 11-12 years, girls Lois Turner, boys Joel Parkinson. 13-14 years, girls Rebecca Titterington, boys James Streatfield. Ladies Beth Titterington, men Dan Smith. Other trophy winners from events at the club championships were Luke Brown and Alistair Weymouth. Congratulations went to all those who took part in the gala and to all thevolunteers who enabled it to take place.